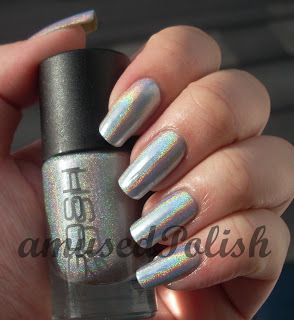 I was in a layering mood and chose these two polishes: Orly Wild Wisteria and Prisma Gloss Silver. WW is a dark, eggplant purple creme. 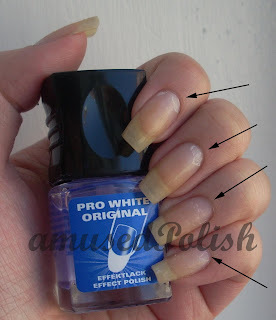 It only needed two coats to be opaque and didn't had any problems with the formula or the brush. 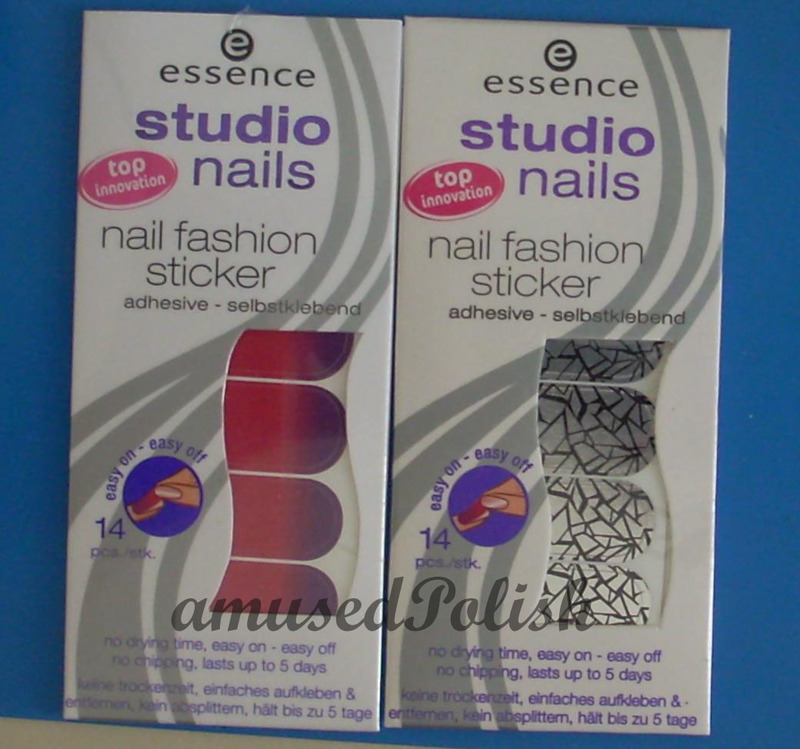 So today I'm going to show you Essence's new Nail Stickers. They are in their new peremanent display and I was eager to try them out because I wanted to see if they are a cheaper alternative to the ones from Incoco. The package I chose from the two I bought was #14 called Unexpected. 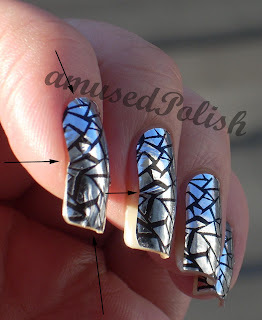 The pattern on the foil has an effect like a broken mirror (but not really a reflection- i.e. you can't see yourself in those foils). I was afraid because I tend to have peeling nails so I painted a thin coat of basecoat on my nails and I was really relieved that I did, more on that later. 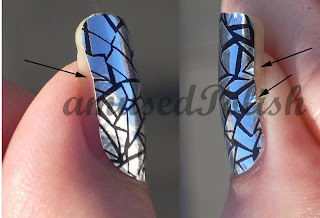 I let the basecoat dry and then I began applying the foils. After the removal, I had a sticky surface and it took a layer of bacecoat off nearby my cuticles, you'll see it in the very last picture (with my stained nails). Glad I applied the coat of basecoat. Also I used a rubber-rosewoodstick/cuticle pusher to help applying it on the sides. In my opinion it helped with the application but I kept getting wrinkles on the side. The stickers weren't a 100% match for my nails width-wise and it was a bit hard to choose the right size (That may be my fault). I pointed the wrinkles out in the a few pictures, but you may want to click on them to see more details. 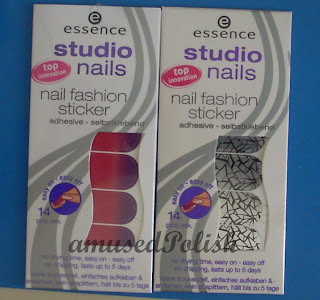 My final verdict is, that these nail stickers are not really that great- maybe Essence should rework and see how they can improve them, otherwise I wouldn't recommend them if you have small nail beds and/or quite curvy nails. 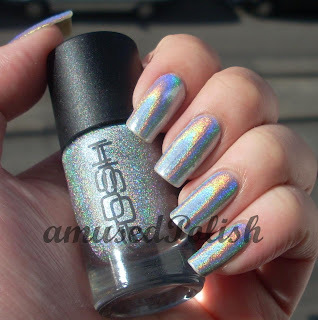 I was in the mood for some holos and recently bought a bottle of QT. 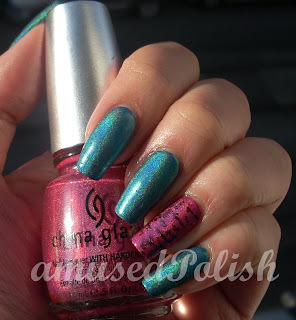 QT is a magenta holo and part of the OMG series by China Glaze. 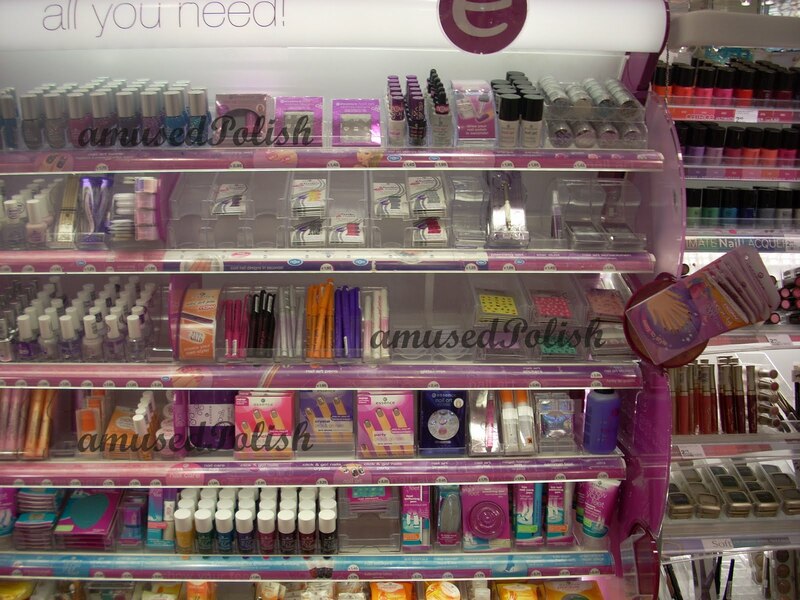 Sadly, they are discontinued but you may be lucky to find some of them at etailers. I've already shown you DV8 here. QT and DV8 were opaque in two coats and I didn't had any problems with either polish. 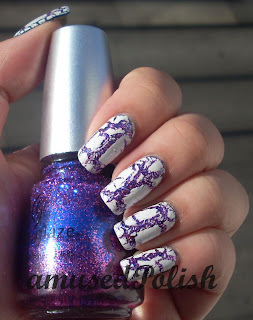 I stamped with the black Konad Princess polish and Image Plate HB24 (a coffee/tea-themed image plate). 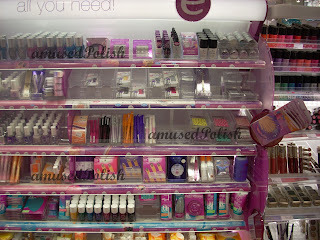 The matt-topcoat wasn't in the display but it's going to be permanently available (It's in their current "We saw it first Le" ). Today's just a quick post. 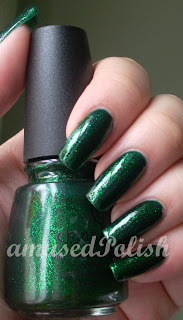 I recently saw some swatches of Models Own Disco Mix and thought that it was quite easy to franken my own so I did. I used an unnamed blue glitter from Claire's (the ones they sell here are all unnamed :( ) and the pink glitter from my swap with the sweet Jackie from Candy Coated Tips. I couldn't let it alone so I layered a thick coat of Isadora White Art over it. 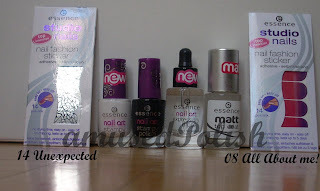 Remember this post about my comparison of the teeny tiny Yves Rocher polishes? I've decanned one of the bottles because I simply can't handle the tiny brush and handle. 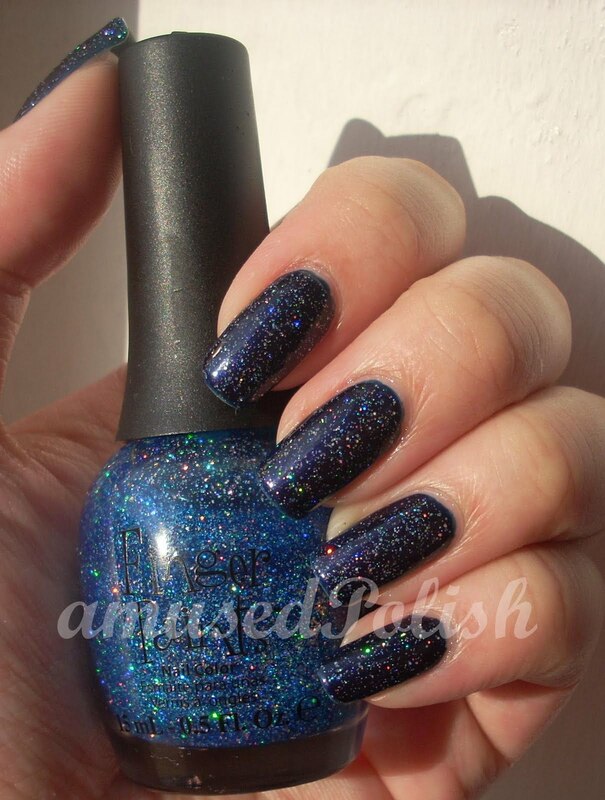 Bleu Nuit is from an previous Christmas LE (from last year I think) and is incredibly pigmented. I was able got get nearly double of the original 3ml with lots and lots of thinner (I use this method of cleaning out bottles who are really pigmented so I don't waste any polish). 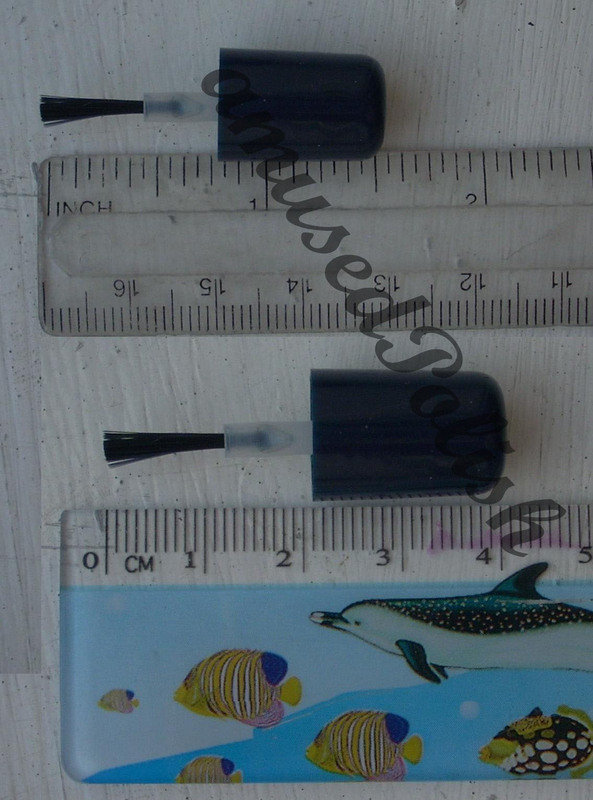 I've also put some comparison pics of the brush at the end if you're intrested. 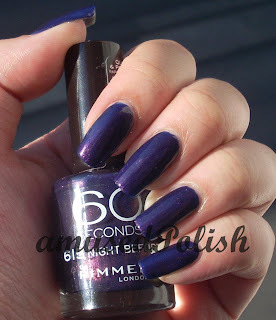 Anyhow, it's still incredibly pigmented even with all the thinner and a better bottle. I used one coat except my pointer, where I painted two to see how it'll look. The second coat gives it a really awesome depth. See how it glows on my pointer? 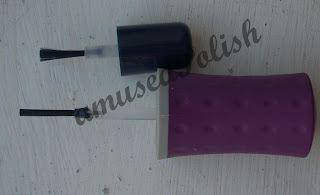 Now onto the brush comparisons: I used a Orly brush to compare it to and it's twice at big as Yves Rochers one. The Orly brush is 4 inches(8cm) long. I wonder if anyone can handle the YR one? 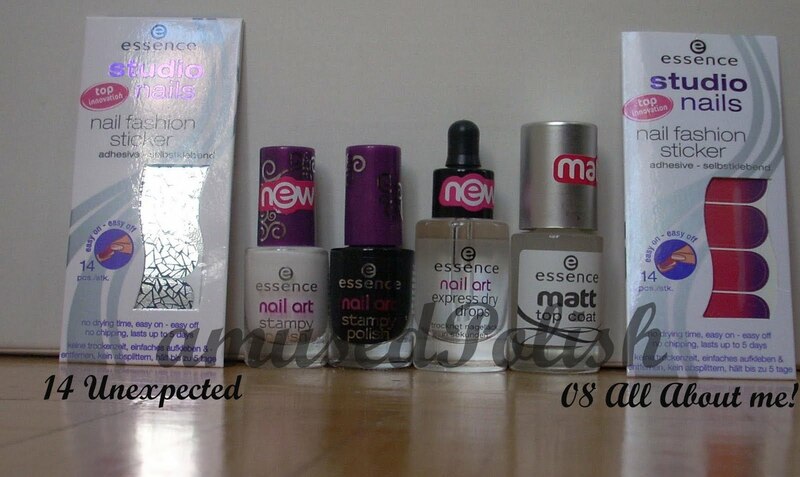 Remember my great swap with Martje from Girly Addictions? 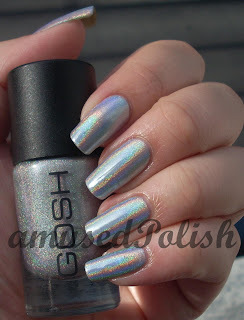 She was so awesome to offer Gosh Holographic and I couldn't wait to paint it on my nails. 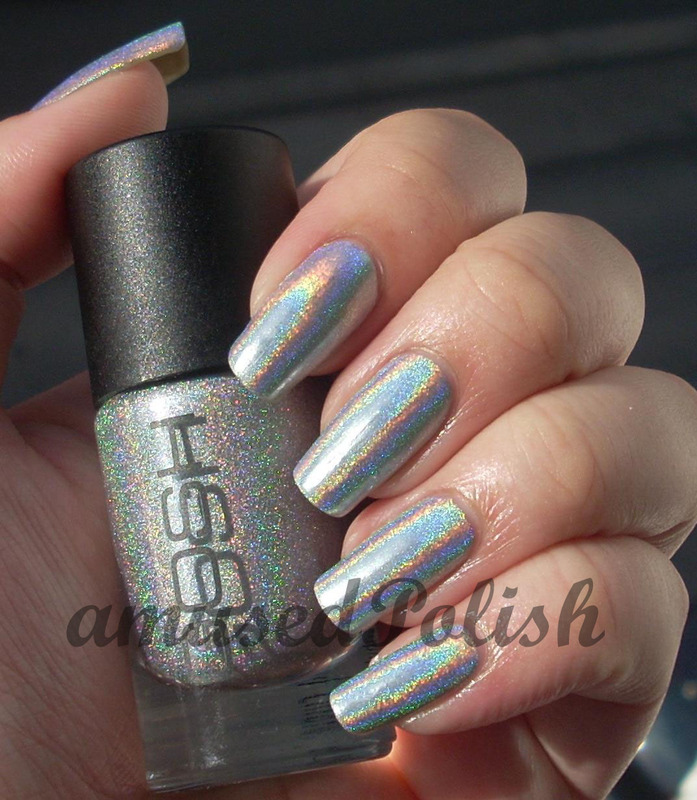 The weather was perfect for holos too :D.
I used one coat of their Fix Base and two coats of Holographic. The formula of Holographic was quite different form the previous holo I've used before. It's quite thick but once on the nail, it gets runny. Now some pictures, shall we? 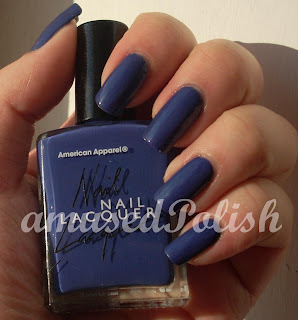 American Appearel came out with nail polishes quite a while ago and I teased you before with what I've bought. So now I finally painted Mount Royal on my nails. Most (all?) 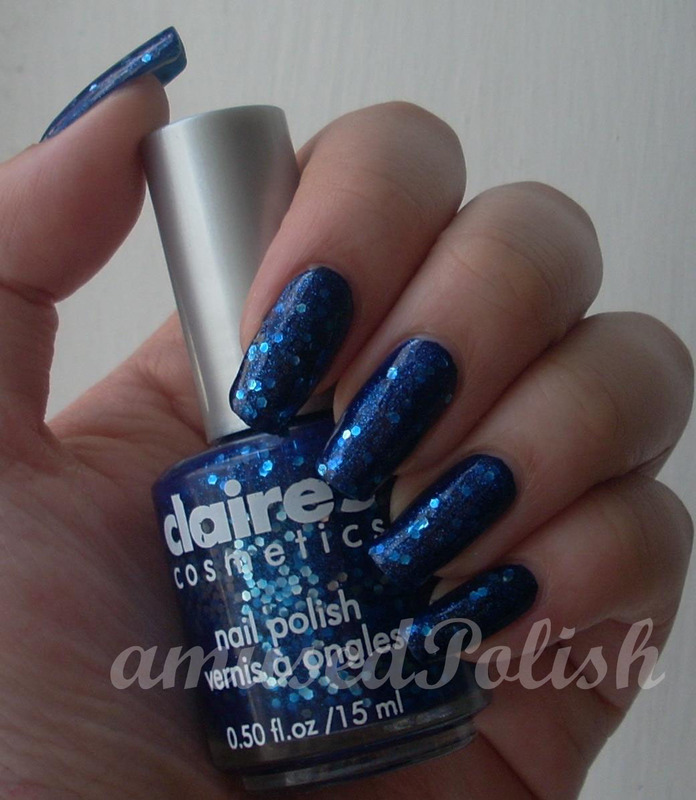 AA polishes are opaque with one coat and this one isn't a exception. I didn't had any problems with either the formula or the brush- both were great.